Selected as Party of the Day on February 17th! A bridal shower is a special time for the bride to be celebrated and to enjoy a special afternoon with all the special women in her life. A tea party is a perfect occassion to buy a new floral dress, because every girl deserves a floral dress. 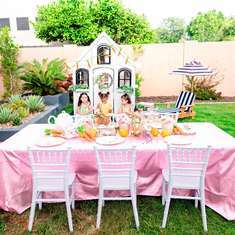 There is nothing more magical then a tea party in a beautiful garden. A great tea party menu always includes delicious sandwiches in mini sizes, scones, fruit arrangement, veggie platter and of course dessert! Ofcourse there has to be tea at your party. Be considerate and buy a few different varities for your guests to choose from. The tea shop can help you choose the right selection for your guests, but do offer atleast one white tea, a green tea, black tea, and my favourite a fruit infusion. Jena captures a perfect shot in everything she photographs and gives her clients the gift of beautiful memories. Gloria opened her beautiful shop in 1996 and has been creating inspiring arrangements ever since. Karen is the owner of a large collection of vintage pieces for all occasions. 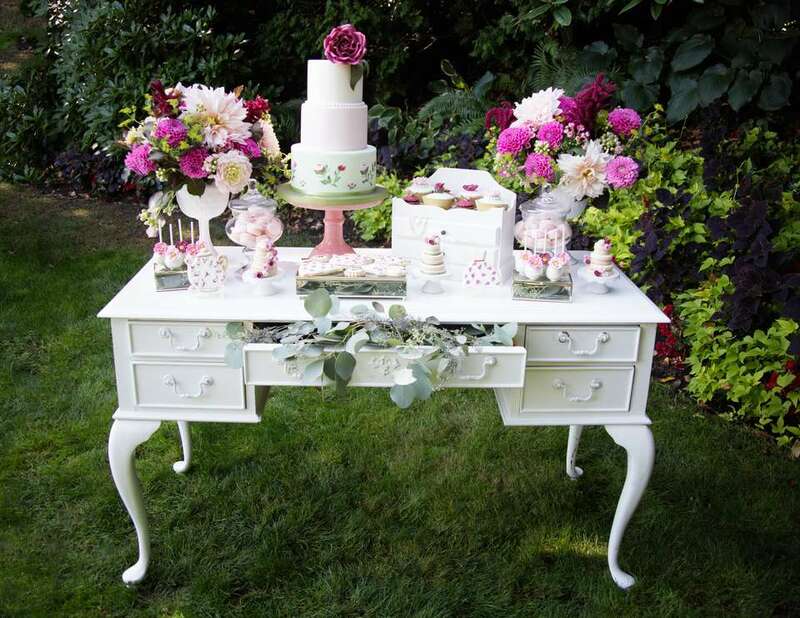 She loves every piece she owns and she will create the perfect selection to fit your event. 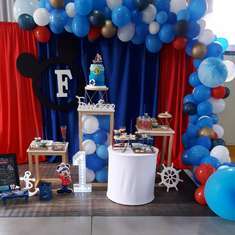 Brittney is the owner of a full service bespoke event styling and rental shoppe. My name is Gema and I am the owner of Cora's Cake Shop. 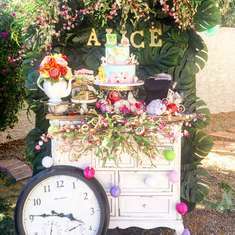 I love everything that is made by hand, I love everything that has to do with weddings, styling and tea parties. I adore this party! Very inspiring. I love every detail.